Burke, Idaho was famous for being built in an impossibly narrow valley for a town site. Burke Canyon is just 300 feet wide, resulting in unprecedented and unusual building feats such as the Tiger Hotel that featured a railroad tunnel passing through the first floor. Lead - Silver discoveries in 1884 attracted a railroad to Burke by 1887. 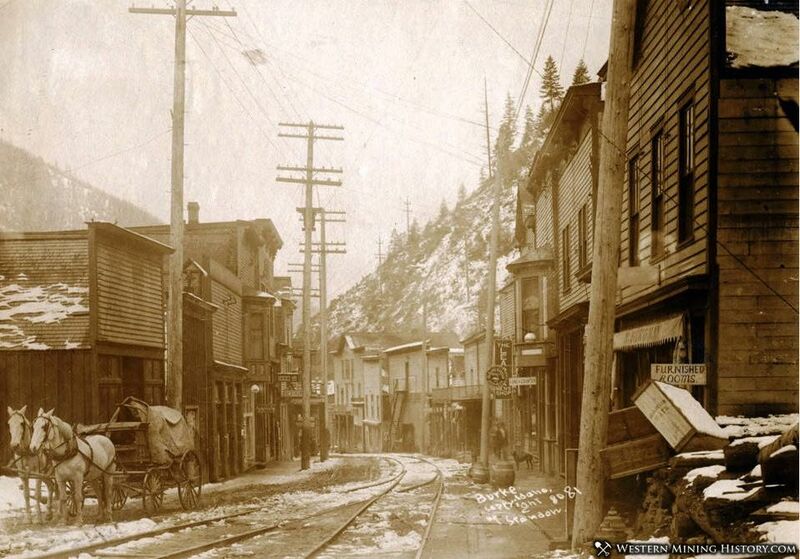 Hundreds of miners lived there in a canyon so narrow that they scarcely had room for streets. So in 1888, S.S. Glidden's Tiger Hotel had to be built over, rather than beside, Canyon Creek. Railroad tracks and Burke's only highway also had to run through his hotel. When a second railroad arrived in 1890, its tracks had to be laid in Burke's only street. No other hotel had two railroads, a street, and a stream running through its lobby. The infamous hotel was three stories, had 150 rooms, and was said to feed around 1,200 people daily. The Hotel had two major sections, the old boarding house built in 1888, and the large addition built in 1915. Five passenger trains passed through the building each day. The hotel was dismantled in 1954. 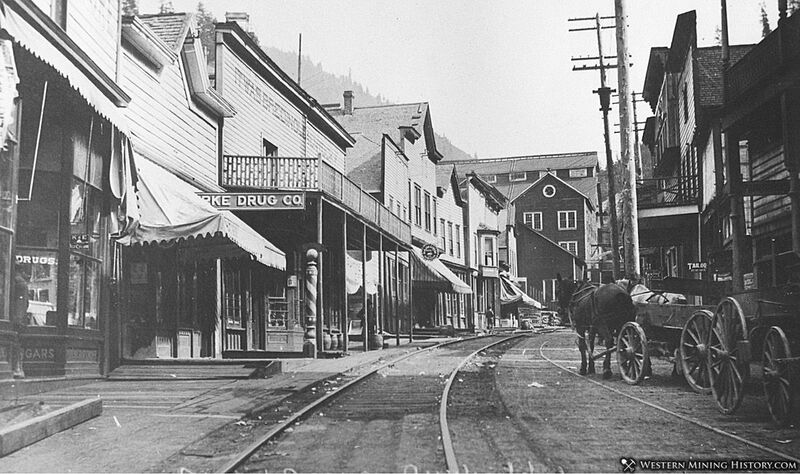 Burke's main street was so narrow that the road and the rail line shared the same space, and it is said that many of the businesses had to roll in their awnings before the train passed. 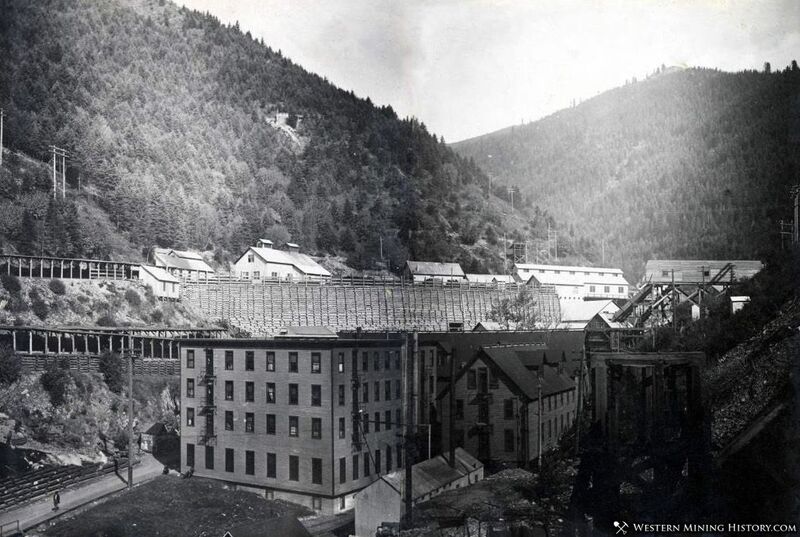 Burke was home to many of the most famous mines in the Coeur d’ Alene Mining District like the Hercules, Hecla, and Tiger-Poorman mines. Like other camps in the Coeur d’ Alene District, Burke experienced many periods of labor unrest. The first major strike in the district occurred in May of 1890 at the Tiger-Poorman mine just outside Burke. The dispute was said to have been over the poor food served at the mine boarding house, and resulted in five days of shutdown at the mine. Many more labor disputes would occur in Burke and the entire district in the following years and decades. A riot occurred on the Northern Pacific passenger train near Burke last night between union miners from the Hercules mine and non-union from the properties of the Federal Mining and Smelting company. No one was killed but several on each side were badly hurt. The trouble was the outgrowth of an argument over the Cripple Creek explosion in which two former Coeur d'Alene miners were killed and several Injured. 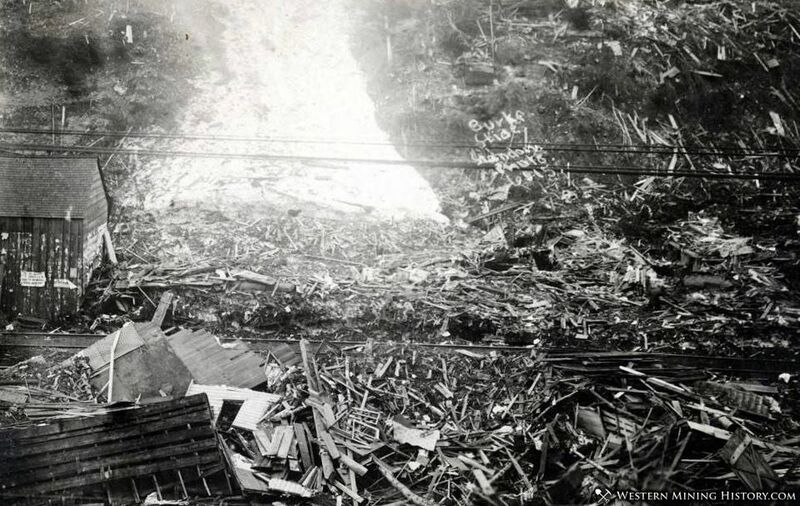 Due to its position in a narrow canyon, Burke was prone to avalanches, and the first major one to occur in 1890 killed three people and damaged several businesses. In 1913 a major flood hit the town. Between avalanches, floods, and fires, Burke saw more than its share of natural disasters over the years. WALLACE, Ida., July 14. The town of Burke, seven miles east of here, lies in ruins as the result of a fire caused by a spark from a locomotive. Over fifty business houses of Burke's main street were destroyed and practically all of the residences are gone. Four hundred and forty miners were forced to flee to the depths of the Hecla lead and silver mine. A high wind rendered dynamite ineffectual. 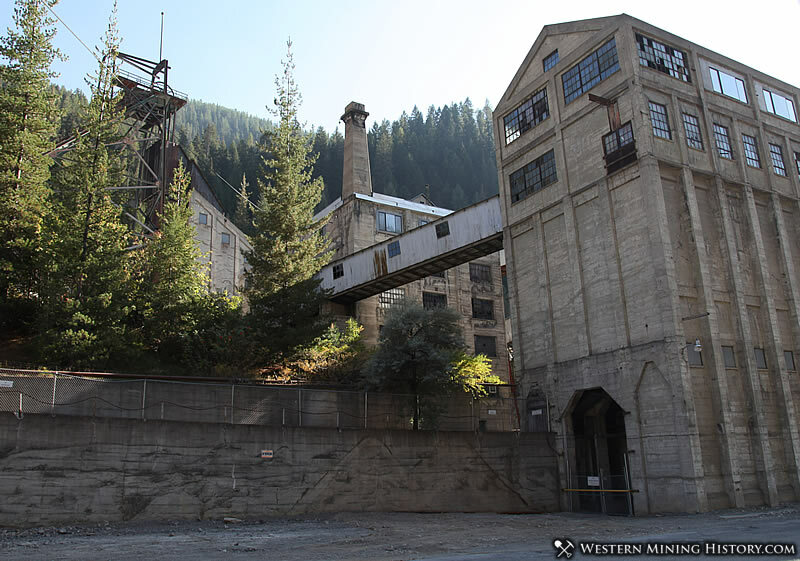 All of the mine company’s buildings on the surface were destroyed. The damage is estimated at a million. Six hundred people are homeless. Army tents have been received from Fort George Wright at Spokane for the homeless. The 1923 fire closed the Hecla Mine for over five months while mine infrastructure was rebuilt. The last mine in Burke closed in 1991. Today a handful of old buildings remain in the town as well as the massive buildings of the Hecla Mine.